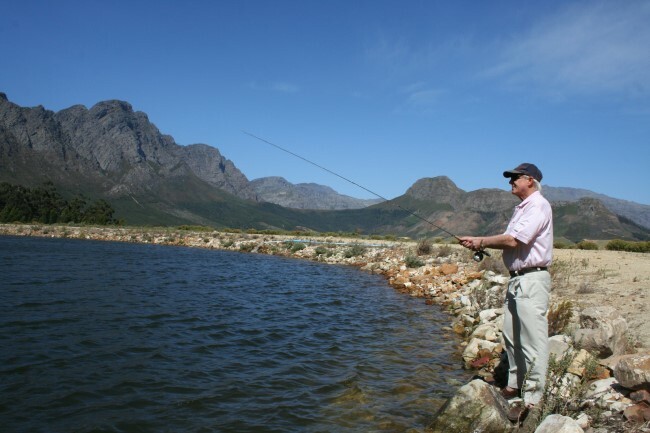 The Franschhoek valley offers visitors a wide range of exciting and diverse activities. 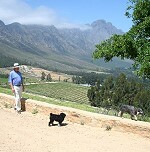 Meander through the vineyards and olive groves, or enjoy a walk in the beautiful mountains surrounding Franschhoek. 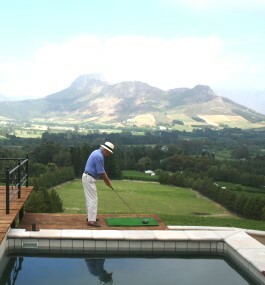 The villa has its own private golf driving range. 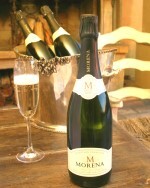 Franschhoek is the gourmet capital of South Africa and boasts some of the country's finest restaurants. 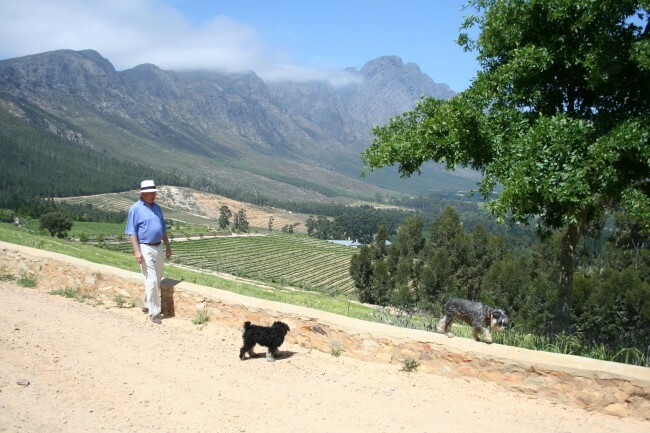 Over 40 wine farms in the valley (including our own Franschhoek Pass Winery) offer wine- and olive-oil tastings; you can even enjoy a wine-tasting tour on horseback! There are many lovely walks through the surrounding nature reserves and vineyards, and horses may be hired at a nearby stables. Or you might want to explore the historic Huguenot village of Franschhoek, with its many arts and crafts shops, boutiques, galleries and restaurants. We recommend a visit to the Solms Delta museum - a fascinating display of the history of the early settlers. 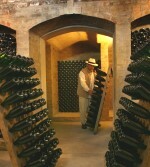 Franschhoek hosts several exciting annual festivals, including the Franschhoek Literary Festival in May, the South African Cheese Festival in February, Bastille Day in July and the Champagne Festival in December. 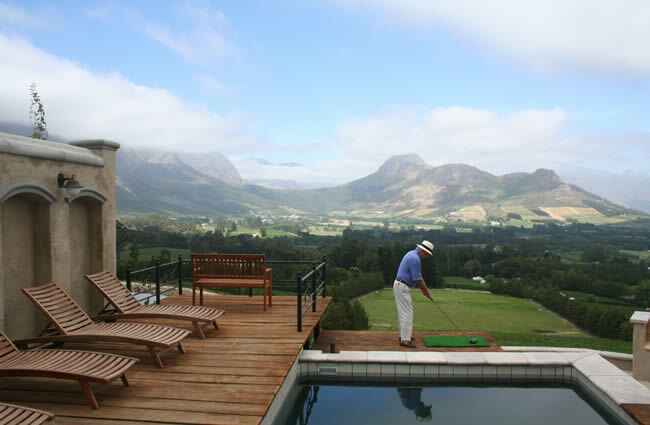 The villa has its own driving range, and the Jack Nicklaus Pearl Valley Golf Course is nearby. 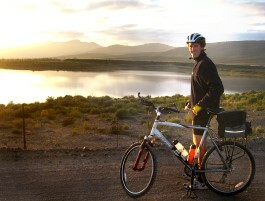 Mountain bikes are available for hire in the village of Franschhoek. 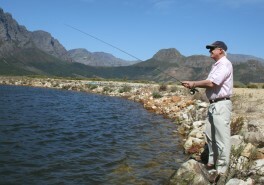 Fly-fishing facilities are close by.